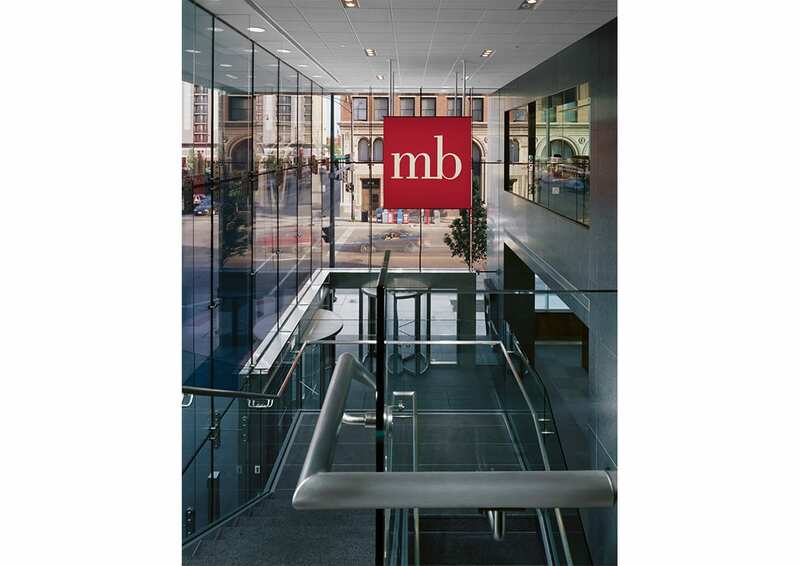 MB Financial Bank is a Chicago-based institution focused on serving middle-market businesses. 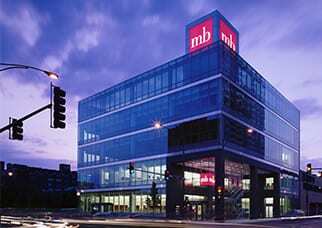 In 2005 the bank sought to continue serving their Chicago West Loop customers in an updated facility that would reflect the dynamic nature of their growth oriented strategy. 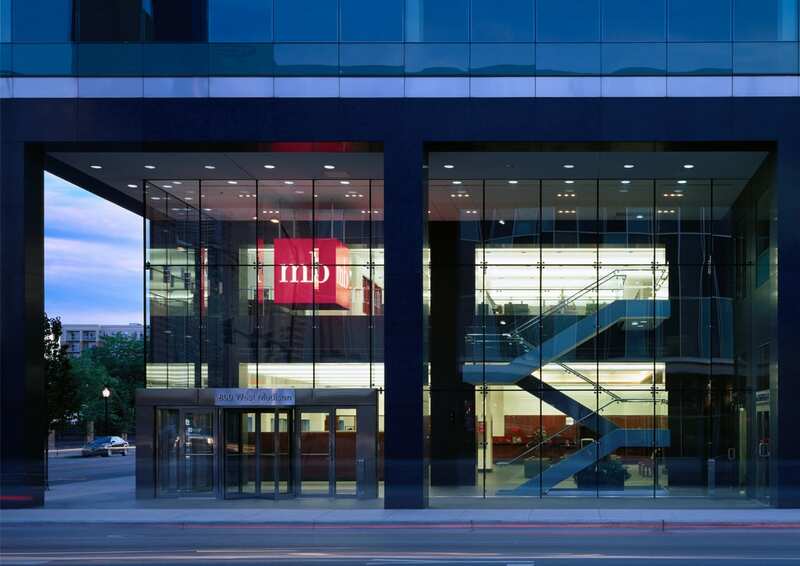 A prominent “lantern” element at the top of a 50,000 square foot structure provides highly visible MB facility identification and brand reinforcement. The majority of the building is clad in tinted glass supported by horizontal stainless steel bands. 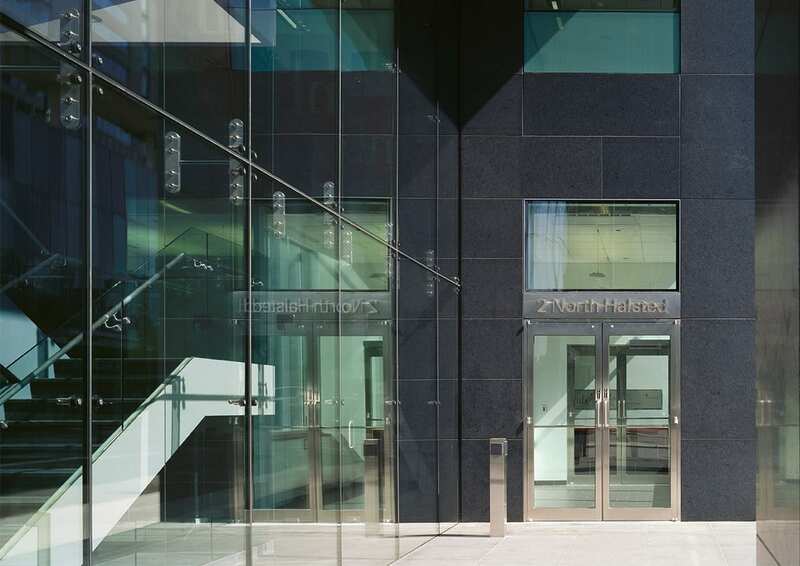 The street-level walls at the main entrance are recessed and feature clear glass supported by glass fins, creating transparency at the pedestrian level, inviting customers into the bank. In the evening, the building transforms into a beacon of light and activity, supporting MB’s marketing initiatives, which include extended lobby hours for customers.